A hearty good evening to you all from balmy Melbourne. Well, it is for now; tomorrow might be another thing. For months, I have been making my way through a 200ml bottle of Scandal shower gel by the one and only Jean Paul Gaultier. A quick spray on a card when it was first released confirmed it isn’t my style. I found it sweet, waxy and all too flighty. There was a Pentavite* vitamin drops note to it that annoyed the hell out of me. I happened upon the shower gel at an absolute steal, though, and gave it a chance. After my first use of the gel, I found a lingering note of bees’ wax. A thick, rich, almost honeyed milk type of note. I had washed my hair with the gel too and adored the gentle warmth of the bees’ wax that emanated from me all day. It has been a good ten uses later and I find myself craving the enveloping depth of the wax. I have made a truce with the Pentavite vitamin note, strangely. It also heralds the end of my bottle of gel. Rather than try to track down an inflated priced replacement, it made financial sense to source a bottle of the EDP. So, I did. Fragrantica – Fragrantica lists the following notes: honey, patchouli, bees’ wax, blood orange, gardenia, caramel, licorice, orange blossom, peach, jasmine, mandarin orange. My fatal mistake was to over spray myself. Just don’t. Take it from me, Scandal smells infinitely better with one, maybe two, sprays on the decolletage. I applied my usual 7 sprays and moaned for the rest of the evening that I could smell NOTHING! A very vague sweetness with a ghost of an orange blossom or something. No trace of the dense wax at all! Not even Pentavite. Then, last Thursday night, I absent mindedly applied one quick spritz on my chest and continued on with the clothes washing. Miraculously, an hour later, it registered in my brain that the wax was there in all its abundant glory. I tried two sprays after showering with the last of my gel Saturday morning. All I could sense until lunch time was the golden elixir of bees’ wax. So, the very simple moral of my story is to be judicious in how one applies perfume. Something that may have not appealed in the past, or didn’t release a particular note may have just been applied in a manner not intended. It may take a bit of playing around with some perfumes to bring their best sides out. Much like relating to people, I suppose. Our relationship to our perfumes are never really fixed and much can be discovered by exploring the myriad of ways we might wear it. Trying different formats helps to familiarise one’s self to a new scent, or even find new facets to an over looked cheapie. Have you ever discovered you were wearing a scent wrong? 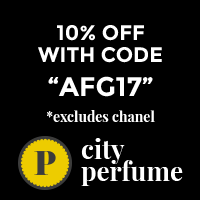 Or have you used a scent you dislike in perfume form, only to enjoy it in another format? Be safe, APJ family, in this busy time of year. *Pentavite vitamin drops were commonly used with tins of Carnation evaporated milk to feed babies in the early 1970s in Australia. Particularly if the mother could not breastfeed her child. ← The strangelove nyc perfume oil collection – by Christophe Laudamiel. I loved this bottle from the moment I saw it. Will go back now and apply only one spray at the mall. I may have overindulged last time. Lol, no doubt at all about that. I can see you in my mind applying with flair. The bottle is typical JPG quirkiness. Not too sure what he actually thinks of womenm besides Linda Evangelista. I suspect he has worshipped her since their first meeting. Anyway, do go light and see if it makes any difference. I have experienced what you describe with a few fragrances. Definitely Lanvin Arpege. On spray to the décolleté is gorgeous, overspraying smells harsh and overwhelming. Also MDCI Parfums Vepres Sicillienes, one spray only beautiful, overspraying a big mess. And some perfumes can be sprayed ravishingly and are oh so lovely! You’re correct that exploration is needed. I don’t use many perfumed shower gels or lotions because I tend to use a very mild one that doesn’t dry my skin or interfere with my perfumes choice of the day. Maybe that needs exploring! I enjoy many of the notes you’ve described in Scandal and have never sniffed this fragrance. Now intrigued! Hmmm, yes, Kathleen, some shower gels can be harsh. Sadly, my skin gets destroyed from mechanic life. Clutch dust, old coolant laced with rust, heavily contaminated diesel oil etc all leave their effects on my skin. I have to go hard with cleaning products, so some of these do the job of removing the crud quite well. Bonus is the scent! I have a sample of Scandal, one little spray on my wrist and it smells very fruity and sweet. It’s not my style; however, it is my sister’s style and she is here visiting. She loves it! Aww, Kathleen, hey, you gave it a chance! Does your sister enjoy the bees’ wax note? Yes, very much. She didn’t detect it until I had her read your review. Then she appreciated it all the more! But the ones that beg to be over sprayed play their part too, right?! Nothing more gratifying than to go nuts and diva on! I’ve learned it the hard way: I shouldn’t apply heavy chypres (such as Knowing) or peppery ones (Nu, for instance) on my neck, especially before I go to bed. Lol, Diana. Yup, me too. Isn’t it all part of the fun in the journey, though? Tee hee! It’s definitely a case of trial and error. Some perfumes I don’t spray on my front at all as they could become overwhelming. It’s easier to appreciate them if they aren’t constantly punching you in the nose. Oh for sure, cassieflower! Especially ones with challenging notes. Oiyoi! And Scandal, despite the notes that should work on me was a definite no. I found it generic and forgettable and was disappointed with this particular JPG as I’m normally a fan-girl. Interesting! I actually dislike most of JPG’s other things. I cannot stand Classique; in any form. Excellent advice, Kate! I am notorious for overspraying!!! Bahahahaha! 90% of can be over sprayed with absolute delight, but when trying to deconstruct a scent for a note, less is usually more. Good idea to go easy on the vintage No 5, Val. I remember doing that with the first batch of Fahrenheit. I was so bloody ill. I am still yet to try a Vero scent. Her scents have almost a halo of holy grail about them. I love reading your posts about Vero’s works. I have worn too much Rozy. It was a *bad* idea. Even for me. Though the accidental too much Superstitious almost knocked me over. I’m just glad that wasn’t a commuting day!